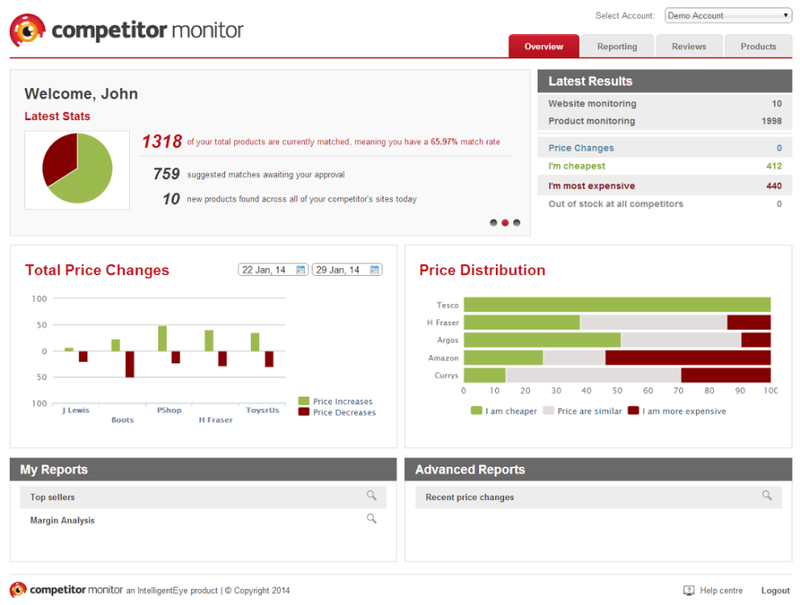 Competitive intelligence solution for retailers and manufacturers which helps with market monitoring, progress tracking, boosting sales, offer expansion and more. 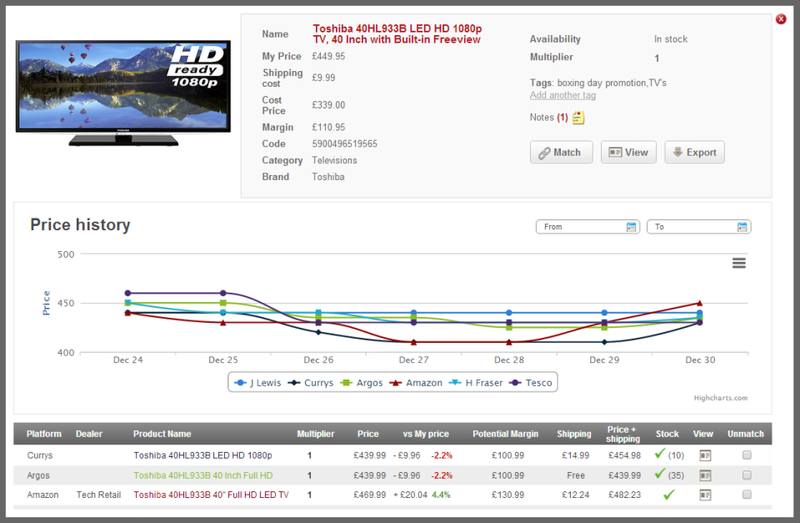 Contact IntelligentEye for pricing details. 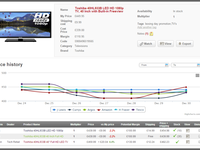 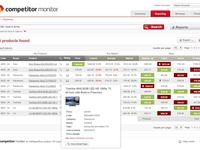 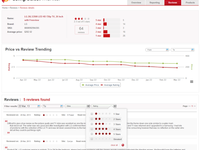 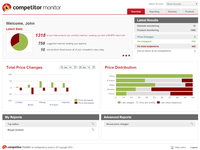 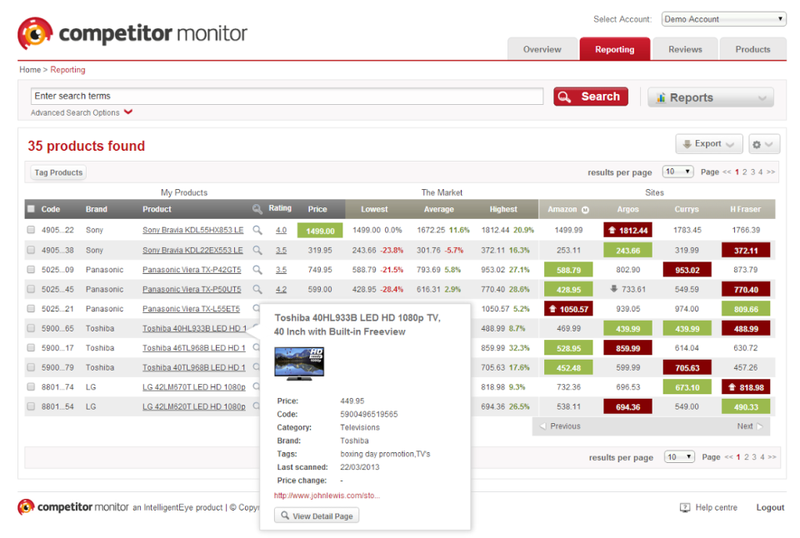 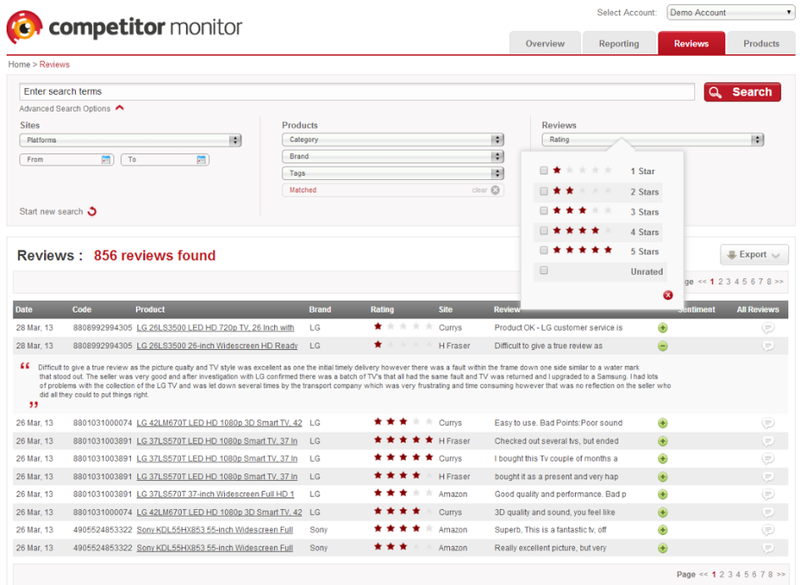 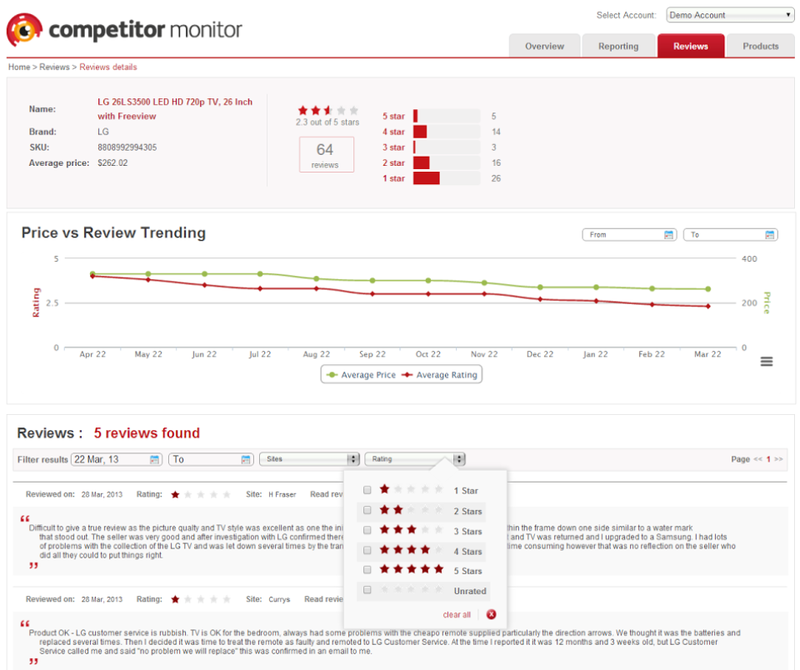 eCommerce competitive intelligence tool which provides online businesses analysis through automates monitoring processes.